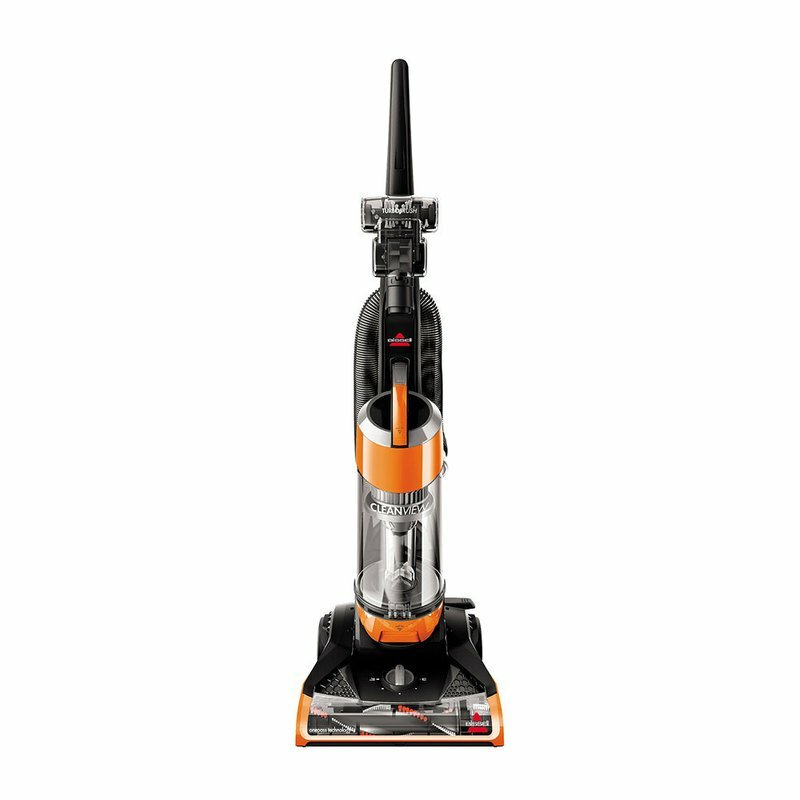 Unlike other vacuums that require you to go over the same floor area multiple times before they vacuum up all of the debris, the BISSELL® CleanView® Upright Vacuum Cleaner is engineered with OnePass™ Technology that has powerful suction plus an innovative brush design to clean on the initial pass. With a Multi-Cyclonic System for extended filter performance plus a lightweight design that’s easy to push and carry, the BISSELL® CleanView® is the perfect combination of form and function. The CleanView® Vacuum features multi-level filtration with a washable filter to help trap dust and particles. Plus, this easy to use vacuum is equipped with a large capacity, bottom empty dirt bin for quick, mess-free emptying. To clean those hard to reach areas, the BISSELL® CleanView® includes a TurboBrush® tool, dusting brush, crevice tool, and extension wand that are perfect for cleaning furniture, stairs, upholstery, and more.